Nyelvkönyvek Módszertan 25 Fun Phonics Plays for Beginning Readers: Engaging, Reproducible Plays That Target and Teach Key Phonics Skills-And Get Kids Eager to Read! 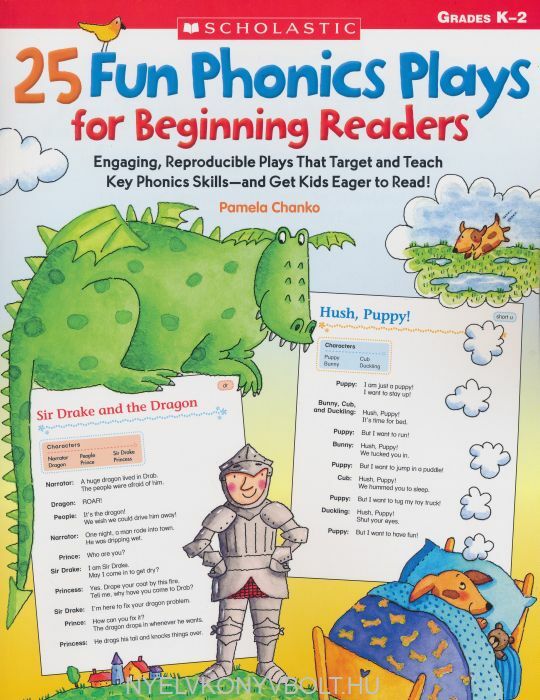 25 Fun Phonics Plays for Beginning Readers: Engaging, Reproducible Plays That Target and Teach Key Phonics Skills-And Get Kids Eager to Read! 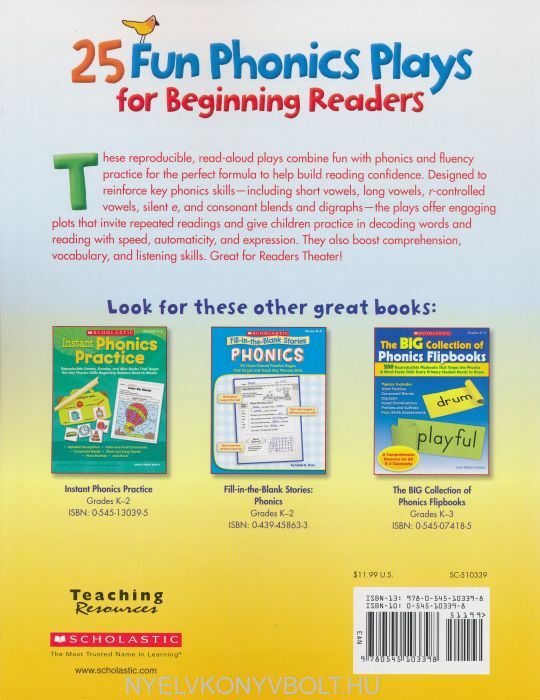 These reproducible, read-aloud plays combine fun with phonics and fluency practice for the perfect formula to help build reading confidence. Designed to reinforce key phonics skills--including short vowels, long vowels, r-controlled vowels, silent e, and consonant blends and digraphs--the plays offer engaging plots that invite repeated readings and give children practice in decoding words and reading with speed, automaticity, and expression. They also boost comprehension, vocabulary, and listening skills. Great for Reader's Theater! For use with Grades K-2.